This is the first time I have reviewed a kids book here on my blog, but as the father of three young kids, reading kids books comprises the better part of my reading. 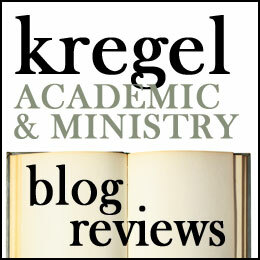 I also am highly invested in their spiritual formation, so when Kregel Publications offered me an Easter kids book, Simon and the Easter Miracle, I jumped at the opportunity to review it. Simon carries the cross and when they came to the place of crucifixion, he leaves, unable to bear the cruelty and jeering of the man’s enemies. He returns to his wares only to find his pack had been overturned, his bread trampled, his wine spilt and all but a dozen eggs broken. Dismayed, he carries the dozen eggs home knowing it was hardly worth his time to sell them at the market. How well is the story told? Does it reflect the Great Story? Mary Joslin tells this story in an engaging and interesting manner. It is well paced and full of symbolic significance (trampled bread and spilt out wine at the moment of crucifixion, broken eggs, the doves, Simon’s crops). As a children’s book, most of these symbols will not be readily understood by young readers ( i.e. my children) but it does open up interesting discussions. I was disappointed that the author had Jesus giving the reason for his crucifixion as his ‘preaching a message of peace.” Clearly there is more to it than this, the Prince of Peace didn’t bring peace but a sword, pitting family members against one another. Jesus was crucified because he challenged the social, economic and political institutions of this day. He didn’t go to the cross for preaching a message of peace, but to obtain our peace with God and others. Preaching peace doesn’t get you killed, calling into question the ‘peace’ of the establishment does. So while I think Joslin is fine writer, this doesn’t come off as a full-orbed account of the gospel. Perhaps Joslin thought that little kids wouldn’t yet fully understand, but there is so much in this book that is over their heads so I see little excuse for softening this point. How Well is this Story Illustrated? Anna Luraschi did a nice job of illustrating this story. I enjoyed looking at the various pictures and images. My one complaint is that Jesus, Simon and all the other characters in the book are pink-skinned rather than boasting Mediterranean olive-toned complexions. I know too many children and adults who were hurt by an eurocentric presentation of the gospel and have rejected Jesus as being a “white man’s God.” So perhaps if this is only read by white kids in a white community, no harm no foul, but I really would have loved to see some colors besides pink and pasty. I would suggest reading this book alongside others which are more culturally sensitive. How did my kids like the book? My kids loved the illustrations and they sat through multiple readings, asking questions and were engaged by the story line.For this reason I like the book even if I think Joslin oversimplifies Jesus crucifixion. Lots of Christian kids books miss the point at one point or another. A Christian parent’s responsibility is to fill in the gaps where necessary. This book does tell the story of Christ’s crucifxion (and resurrection, symbolically). Because of the rich symbolism here, it might be a fun book to read along side ‘resurrection eggs’ or a similar activity. Thank you to Kregel Publications for providing me with a copy of this book in exchange for this fair and honest review. Next Next post: Sometimes Church Don’t Feel Like it Should: Book Review and Book Giveaway!! !